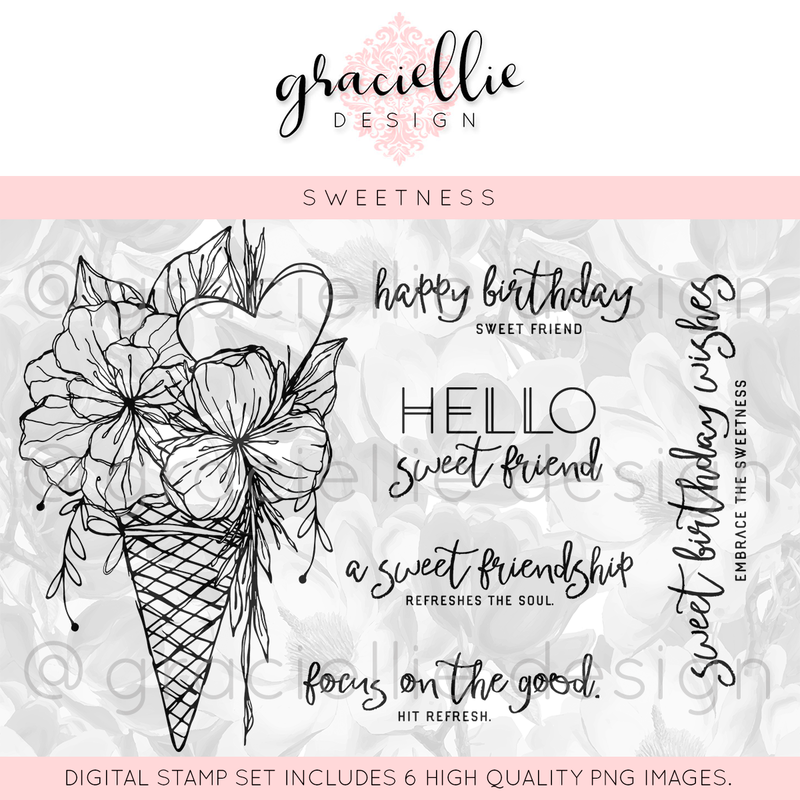 Today I'm sharing a bright and happy card I created with Graciellie's "Sweetness" digital stamp set. I just love this this fun design! For the background I used Julie Koerher's tutorial for creating faux linen with sandpaper, glossy paper, and ink. This is absolutely beautiful Esther. I love the image and the design and colours are gorgeous. Thank you for playing along at Creative Inspirations, good luck. This is a fab card Esther! Wow a very pretty card, love the layered borders!! Thanks for joining in the fun with us at a2z. I love this, such a sweet card. I love the heart and flowers in a cone and that you cut it out. So glad you joined us at A2Z Scrapbooking. Such a nice card with a great color combination! Nice layers and textures too! Thanks for joining us over at a2z Scrapbooking for July's challenge. Oh my Esther this is just Beautiful!!! 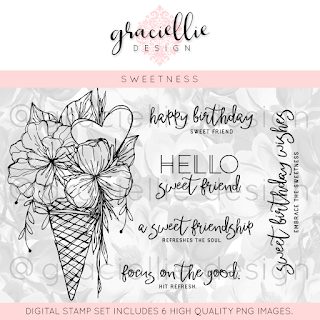 Such terrific layering of everything on your card, such pretty coloring and that background is so cool, love the whole design!